I will be speaking in Montreal in May at a conference and at an associated workshop about Innovation and Business Processes. I have been asked to do a keynote at the MCETECH 2015 conference in Montreal. The conference is all about bringing together researchers, decision makers, and practitioners interested in exploring the many facets of Internet applications and technologies. My talk will be on May 14th called “Robots don’t innovate: Innovation vs. 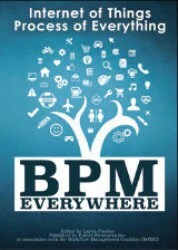 Automation in BPM” where I will present many ideas from the “Thinking Matters” book. I will also be speaking May 12th at the “Workshop on Methodologies for Robustness Injection into Business Processes” where I will get to geek out a little more on the implementation side of BPM software engineering and distributed system design. Looking forward to my first visit to Montreal. Hope to see some of you there! This entry was posted in Conference and tagged acm, automation, BPM, conference. Bookmark the permalink. We can’t wait to welcome you here!